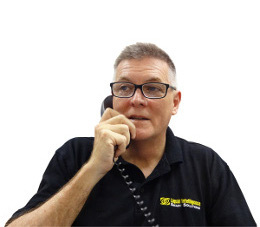 You can call Peter now on 1800 441 163 (7am to 7pm seven days a week – including public holidays – except Christmas Day) for a chat about product and application information or to simply purchase Liquid Intelligence. This Is Australia’s Most Complete Brake Fluid Range. Is formulated on basis of Polyglycolether and contains high efficient additives which provide a good thermal stability and a decent corrosion protection for iron and non-iron metals. Is the standard fluid for all applications in brake systems or wherever a DOT 3 fluid is needed. Exceeding the requirements of the international specifications regarding boiling and wet boiling point the fluid is a good choice to be used in standard drum and disc brake systems and aggregates. Please refer to manufacturer’s manual. 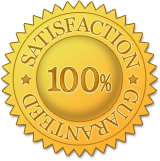 Due to its good analytical data a standard brake fluid of superior quality for universal use in modern brake systems. Additives bestow the fluid high chemical stability and very good lubricity. Liquid Intelligence DOT 5.1 Brake Fluid is a premium quality, non-silicone and non-mineral / petroleum based, full synthetic, low temperature, low viscosity brake fluid designed for use in a wide range of brake and clutch applications. 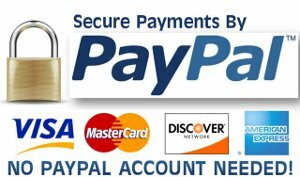 Can be used where DOT 3, DOT 4, Super DOT 4 and DOT 5.1 products are specified. Do not mix this product with SILICONE DOT 5 or MINERAL type brake fluids. For vehicles that require mineral based products i.e. Pentosin LHM Plus should be used. 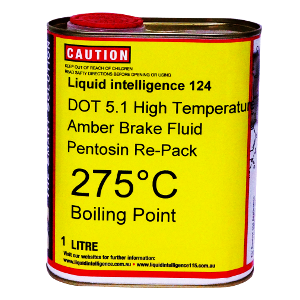 Boiling point 275° C.
These are Pentosin DOT 5.1 brake fluids – repacked under the Liquid Intelligence brand. 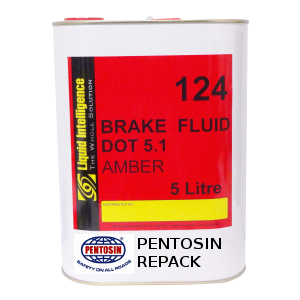 Pentosin DOT 4 LV is a special brake fluid of highest DOT 4 performance levels and extremely low viscosity. It offers safety against vapor lock; it has excellent resistance to absorbing and retaining water and provides superior corrosion resistance. 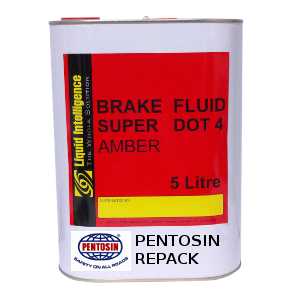 Pentosin DOT 4 LV Brake Fluid is ideal for all modern vehicles with ESP and ABS. DOT 4 LV can be used in all vehicles that require DOT 4 fluid. Pentosin LHM+ is a high performance hydraulic fluid, formulated with thermally very stable mineral base oils, which was developed particularly for the employment in PSA motor vehicles. Is filled into a tank of PSA motor vehicles marked particularly for this purpose, which serves as reservoir for the hydraulic fluid, which also supports brake, steering and chassis functions. It can be used from -40°C up to app. 110°C fluid temperature. Liquid Intelligence 318 1 Litre Key Specifications: Exceeds all known brake fluid standards and specifications. Liquid Intelligence 318 is recommended to be used in all types of racing and motorsports hydraulic brake and clutch actuators. Liquid Intelligence 318 is also specially designed to resist extreme temperature generated by racing carbon and ceramic brakes. What Makes Intelligence 318 Racing Brake Fluid Superior? This is a very versatile, high temperature ether/ester based fluid with a 10 year service life and extremely low compressibility. Liquid Intelligence 318 Extreme Braking Fluid is compatible with DOT 3, DOT 4, and DOT 5.1 and is unquestionably one of the world’s toughest brake fluids. 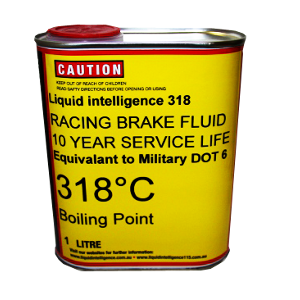 Liquid Intelligence 318 has the same specifications, parameters and characteristics that define the Military DOT 6 Brake Fluid. Liquid Intelligence 318 Extreme Braking Fluid has a 318ºC maximum performance boiling point, This advanced fluid will give improvement in pedal feel and brake fade on the race track allowing you to drive harder, faster and longer than your competitors. Liquid Intelligence 318 Extreme Braking Fluid is designed to provide the highest possible resistance to fluid boiling and degradation in racing applications. Liquid Intelligence 318 incorporates low moisture absorption, low viscosity and high density characteristics. Liquid Intelligence 318 Extreme Braking Fluid is designed with a very high specific gravity which assists in greatly reducing compressibility and in turn helps to eliminate soft pedal fading and vapor lock. Maximum Wet Boiling Point: Liquid Intelligence 318 is a long life, low hydroscopic fluid that can maintain its high boiling point for much longer than traditional brake fluids. Liquid Intelligence 319 1 Litre Key Specifications: Exceeds all known brake fluid standards and specifications. 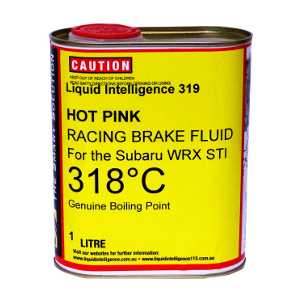 Liquid Intelligence 319 STI Hot Pink Racing Brake Fluid is recommended for the Subaru WRX STI for road, racing and motorsports. Liquid Intelligence 319 is also specially designed to resist extreme temperature generated by racing carbon and ceramic brakes. What Makes Intelligence 319 Racing Brake Fluid Superior? This is a very versatile, high temperature ether/ester based fluid with a 10 year service life and extremely low compressibility. Liquid Intelligence 319 Extreme Braking Fluid is compatible with DOT 4, and DOT 5.1 and is unquestionably one of the world’s toughest brake fluids. Liquid Intelligence 319 has the same specifications, parameters and characteristics that define the Military DOT 6 Brake Fluid. Liquid Intelligence 319 Extreme Braking Fluid has a 318ºC maximum performance boiling point, This advanced fluid will give improvement in pedal feel and brake fade on the race track allowing you to drive harder, faster and longer than your competitors. Liquid Intelligence 319 Extreme Braking Fluid is designed to provide the highest possible resistance to fluid boiling and degradation in racing applications. Liquid Intelligence 319 incorporates low moisture absorption, low viscosity and high density characteristics. Liquid Intelligence 319 Extreme Braking Fluid is designed with a very high specific gravity which assists in greatly reducing compressibility and in turn helps to eliminate soft pedal fading and vapor lock. Maximum Wet Boiling Point: Liquid Intelligence 319 is a long life, low hydroscopic fluid that can maintain its high boiling point for much longer than traditional brake fluids. 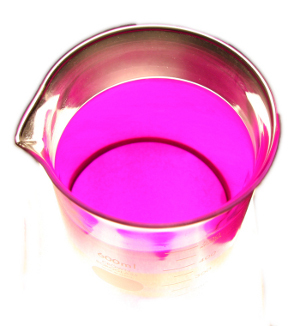 Liquid Intelligence 319 STI Hot Pink Racing Brake Fluid represents the pinnacle of brake fluid technology. Other types of brake fluid absorb and attract moisture from the atmosphere. Over time, this moisture may cause your fluid to start boiling when you brake hard. This can cause your brakes to become damaged or even fail completely. Liquid Intelligence 126 Silicone Brake Fluid doesn’t absorb water from the atmosphere, so your brake lines and seals will last much longer. 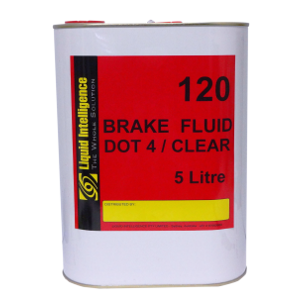 Another advantage of Liquid Intelligence 126 Silicone Brake Fluid is that it is compatible with rubber. Glycol-based fluids can cause the rubber seals in your system to deteriorate over time. You will never have this problem if you use Liquid Intelligence 126 Silicone Brake Fluid. It is compatible with the rubber components in your brake system so they will never become damaged. 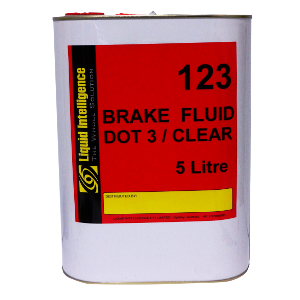 Liquid Intelligence 126 DOT 5 Silicone Brake Fluid is compatible with a wide range of brake materials including SBR, EP, Neoprene and Natural Rubber. If you have spent a million dollars on your paintwork (and even if you haven’t) then you are not going to want any kind of brake fluid anywhere near it. One of the first advantages of using Liquid Intelligence 126 Silicone Brake Fluid is that is won’t damage your paintwork. Glycol-based fluids eat away at paintwork if you accidentally spill them. Leaks around the master cylinder can also allow the fluid to eat away at the paintwork and can cause rust to form on your car. Liquid Intelligence 126 Silicone Brake Fluid will never eat your paint, so if you happen to spill it or it leaks out; all you have to do is polish it off. A higher boiling point is another advantage of Liquid Intelligence 126 Silicone Brake Fluid. Water is absorbed by glycol-based fluids and will lower the boiling point causing it to boil and work ineffectively. 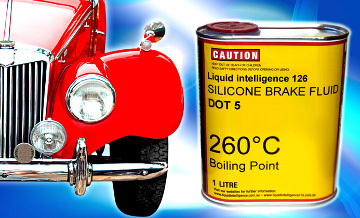 Liquid Intelligence 126 Silicone Brake Fluid has a much higher boiling point. It will only start boiling at 260°C. One of the final advantages of Liquid Intelligence 126 Silicone Brake Fluid is its durability. Other types of brake fluid must be changed every two years or so. Liquid Intelligence 126 Silicone Brake Fluid lasts much longer, so you don’t have to change it as often. This image shows a beaker of Liquid Intelligence 126 Silicone Brake Fluid…. it has been illuminated from the base to accentuate its purple colour and clarity. Liquid Intelligence 126 represents the pinnacle of silicone brake fluid technology. Caution: Do not mix with DOT 3, DOT 4 or DOT 5.1 glycol type brake fluids with DOT 5 silicone brake fluid as they are incompatible. Does Brake Fluid Need to Be Changed? Mercedes-Benz, for example, says brake fluid should be replaced every two years or 30,000 kilometres, and Volkswagen, BMW and Audi says that should be done on most of its models every two years regardless of mileage. Subaru recommends fresh brake fluid every 50,000 kilometres. Check your car’s owner’s manual to see what the manufacturer recommends. We would suggests replacing the brake fluid periodically, because we know what could happen if you don’t. Even though brake fluid dwells in a sealed system it still can absorb moisture over time, and that can lead to corrosion in the brake system. Moisture also lowers the boiling temperature of brake fluid, and that can reduce braking effectiveness in repeated hard stops. Changing your brake fluid every two or three years is probably too often, though if it helps you sleep at night, then it’s probably a good idea. Make sure you replace the brake fluid with the type that is called for by the vehicle manufacturer. Some vehicles require DOT 3 fluid, others a different DOT, such as DOT 5.1, so consult your owner’s manual before you go ahead. You can call Peter now on 1800 441 163 (7am to 7pm seven days a week – including public holidays – except Christmas Day) for a chat about which brake fluid suits your vehicle. Liquid Intelligence A Trusted Brand. 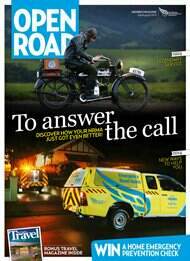 Open Road is exclusive to NRMA Members. It’s jam packed with the issues affecting motorists right now, up-to-the-minute car advice, and inspirational travel stories and ideas. 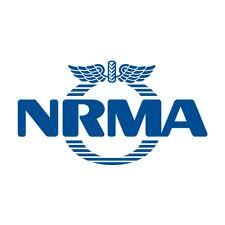 It also contains the latest news about NRMA, and product information of trusted brands that could benefit NRMA members. Liquid Intelligence is one of those trusted brands that advertises in the open road.